Long before the 2015 Sandra Bland traffic stop in Houston, Texas, African Americans have been battling with the reoccurring fear of driving while Black. Some people believe that the fear of driving while Black, is associated with a combination of citizen-police relations and the historical beatings of Black men and women. The issue of being stopped by a police officer is a systemic problem that has affected people of color nationally with new solutions and yet the same outcomes. 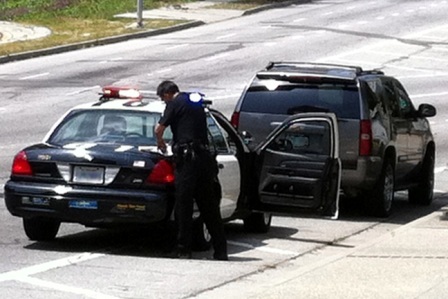 Recently, the Los Angeles Times conducted an investigation regarding the Los Angeles Police Department’s Metropolitan Div­ision and the increasing number of stops officers have made on African American motorists. In the South Los Angeles area alone, Metro officers are pulling over Black drivers more so than any other ethnicity even though African Americans make up only one-third of the city’s population. Although the findings avoid any finger pointing in regards to racial profiling and does not include the reasons why each person was pulled over and how the traffic stop was handled, it does prove that driving while Black was and still is a serious issue that needs to be addressed. “Black people [being] pulled over at a rate that is five times our population share is enraging, but not surprising to us. The recent findings simply confirm what our community has been saying for decades...that driving while Black is real,” co-founder of the Los Angeles chapter of Black Lives Matter, Melina Abdullah. On Monday, January 28, Los Angeles Mayor Eric Garcetti joined by LAPD Chief of Police Michel Moore responded to the excessively high rates of Metro officers pulling over African Americans. “Numbers in that story showed that African Americans were pulled over at a disproportionate rate and that [has] always [been] something that troubles me and is deeply concerning,” said Garcetti. Moore goes on to explain the strategies that are being implemented by the department. During the press conference, Garcetti announced that the office of the inspector general will be releasing an audit on the stops made by the gang enforcement division within the next few weeks. “That will be followed by a second audit this year, an in-depth study focusing on stops conducted by LAPD’s Metro Division as well,” he said. Although Garcetti is proud of the improvement the department has made over the years, local residents like Abdullah, are not satisfied. “The mayor's ‘thumbs up’ to the already in-progress study is not a viable solution. Perhaps even more problematic are the statements made by Chief Moore today in Police Commission meeting, where he called for additional ‘trust’ by [Black] community members of police,” she said.